Now that you have Windows 10 setup the way you like, one of the most important things you can do right now is preserve your investment. 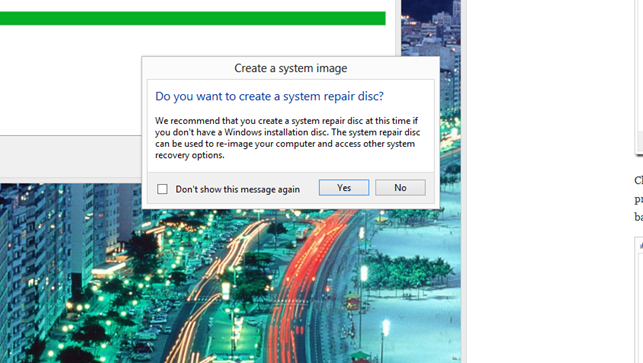 Create a recovery drive and a system image which you can use to easily restore if Windows does not boot or becomes corrupt or hardware failure. Click Start backup to begin the backup process. The process can take some time depending on the size of your backup. 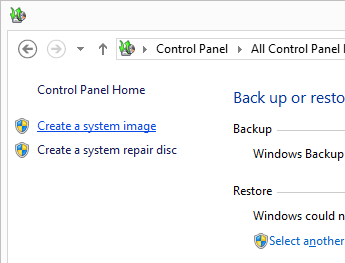 After Backup has completed you can close the wizard or create a system repair disc. 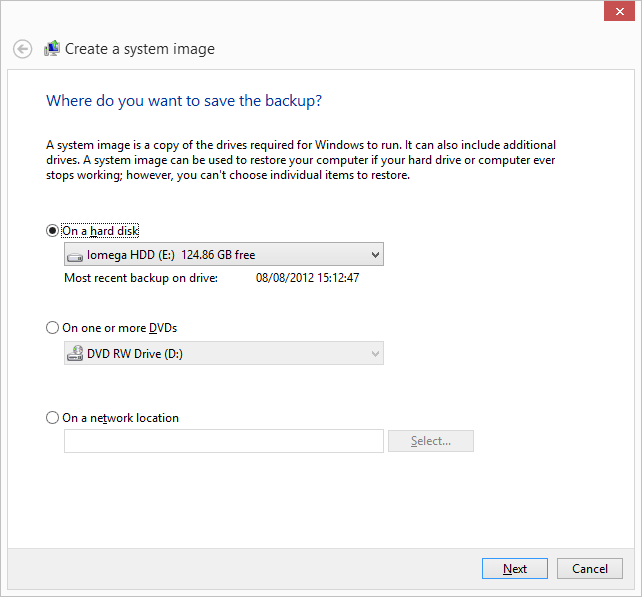 It is recommended you do so if you don’t have a physical copy of Windows 10 for reinstallation. Does not work Windows 10 throw's Multiple different Errors, cannot find Volume, backup disk Is not accessable etc. Many suggestions on how to fix this problem but no solutions. I have done the above but get error code 0x80042306 - backup failed. What went wrong? 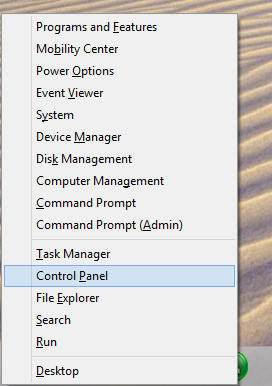 The option to select (C:) (System) is grayed out and can not be selected. The method above keeps giving error code 0x80042306 - backup failed. I am getting the same error codes as everyone else and have yet to find any suggested solutions as being a viable fix. 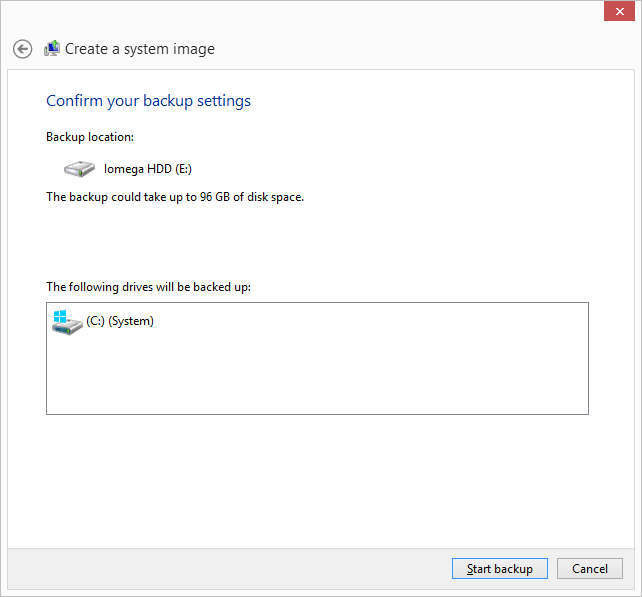 The Wizard says Backup and Restore (Windows 7) - does this just mean it is a hold-over from Windows 7, or does it mean it will only work if the computer now upgraded to Windows 10 previously ran Windows 7? My PC, which I have successfully upgraded to Windows 10 (which I like very much) previously ran Windows 8.1. 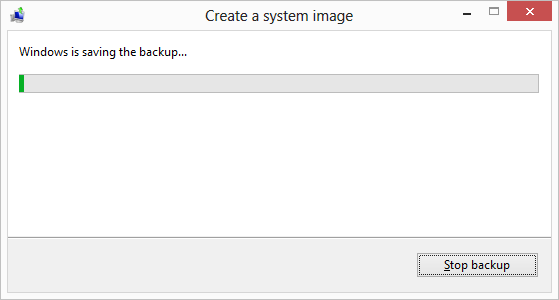 Maybe a fix has been made recently, because the System Image Backup as shown on the File History window works for me. I upgraded from 8.1 to 10. CrunosCody's link simply takes you to a web site selling an alternative backup program. tried to do system image backup for window 10. Operation proceeded and win system said it was backed up but I look in my disk management and drive L (the external HD I chose to save the image on) shows ZERO bytes under windows image backup folder. I wil try again using every MS support forum and using Microsoft website tech online support. just followed the steps this is what i got??? please help how to overcome this error and why this error is occuring?? ?